Only one weaver, the Weyns's Weaver, has been identified as feeding mainly on fruit. 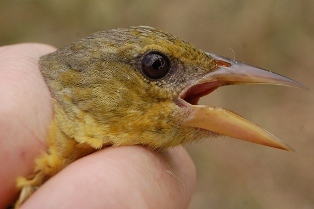 In addition, 15 weaver species regularly feed on fruit (including berries). Many other weavers occasionally feed on fruit, including those listed below, but there may be many more. This list is based on a study of frugivory in Africa (see news about Kissling 2007), with additions of the fodies that have been recorded to eat fruit. The Asian weavers feed on seeds, insects and sometimes nectar but are not known to feed on fruit. 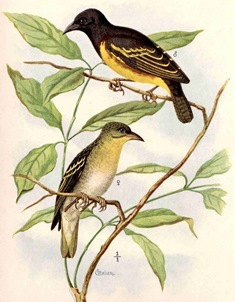 Many forest-loving weavers feed on fruit, in addition to being insectivores.